The Agri-Fab Smart Link System is exclusive to Agri-Fab, the smartest ideas to hit the lawn care industry in years. A revolutionary system of four attachments that link up to one shared platform, making them easy to change, easy to store and is very affordable. 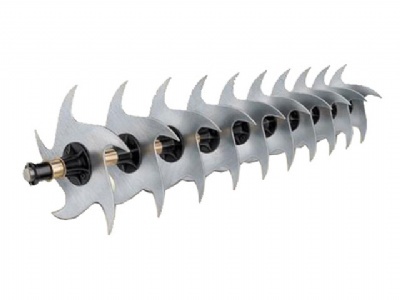 The 45-0458 is a curved aerator with patented Turf Shark design which combines the best features of a plug aerator and a spike aerator. Fitted with 10 galvanised blades for rustproof durability.